Wanna Run Around Wearing a Big Creepy Head? Looking to do something important with your life? Sure, you could join Teach for America or volunteer with Doctors Without Borders. OR! You could try out to be a Racing President. We know what you've decided. 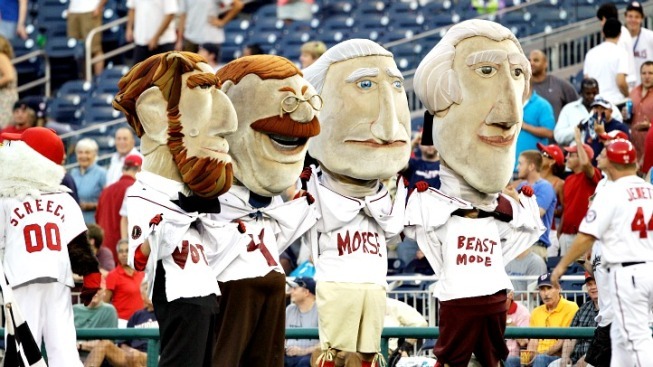 The Nationals are looking for new folks to perform as the racing presidents, reports Let Teddy Win!via DCist. The four Mount Rushmore presidents generally race around Nats Park, pose for photos, sign autographs and appear at some outside events... like, oh, er, maybe "The Nutcracker." 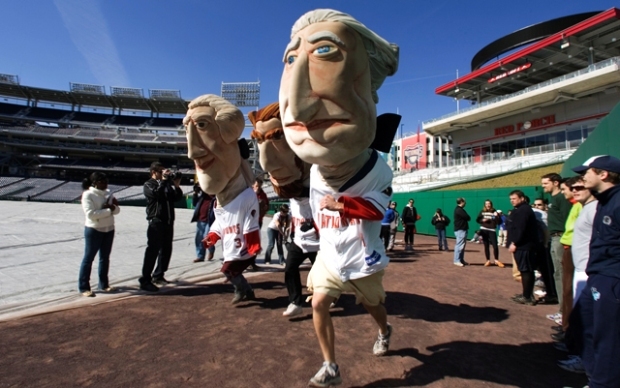 Dozens try to make the cut to be one of the Washington Nationals' racing presidents. 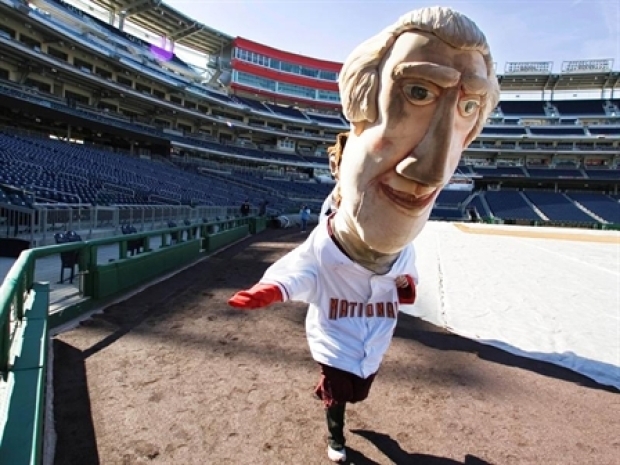 If you're awesome enough to want to race while wearing a big creepy head, send a photo, resume and cover letter to entertainment@nationals.com by Friday, Feb. 10. Tryouts are by invitation only. We just hope you aren't cast as Teddy. For some reason, that poor guy just never seems to win.